Like I said, The Force Awakens has more original pieces, and they play a bigger part overall, but Lando joins a collection of characters that already includes Darth Vader, Yoda, Obi-Wan Kenobi, and other characters from elsewhere in the Star Wars universe who have already appeared in Rebels. Set between the events of Revenge of the Sith and A New Hope, we knew going in that the series was going to provide a link to the past, and with all of these appearances (and both Vader and Yoda were voiced by James Earl Jones and Frank Oz, respectively), they’re showing just how interconnected it all is. Pssst. @EW will be sharing some awesome #StarWarsRebels news tomorrow! “Idiot’s Array,” the eleventh episode of Star Wars Rebels, airs on January 19, though you can watch it now if you use the Disney XD app. This show gets better every episode. Oh man, when you said “next episode” I thought you meant tonight! 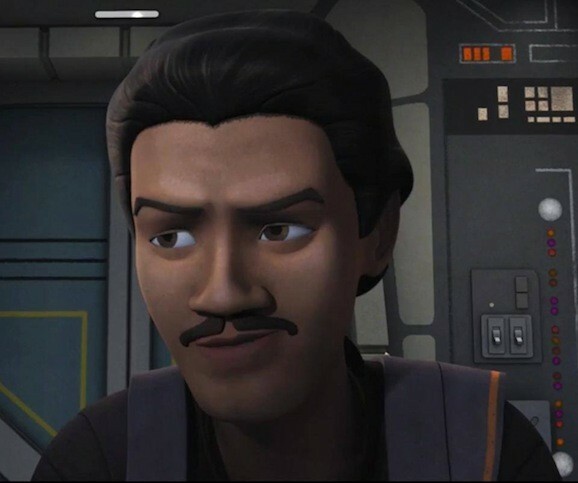 Anyways, I’m excited for more Rebels news but I have to say that when they say that awesome Rebels will be shared today I kind of feel like they might just be talking about Lando being in it? Gotcha, incidentallyI just watched it on the Watch XD app and was blown away. By far the best Rebels episode yet (and to think I said the same thing after seeing “Empire Day” and then once again with “Gathering Forces”). 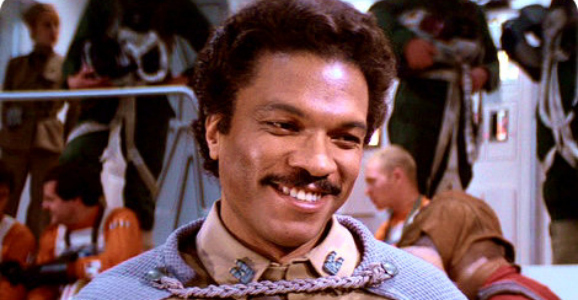 Billy Dee was great; if anything this made me a little bummed that he’s not in TFA. The guy has still got it. I feel like Harrison Ford can come off a bit too crotchety in his old age (see Kingdom of the Crystal Skull) but this felt like vintage Lando. I have this dream of a future episode starting with a scene in a smokey cantina (hopefully off of Lothal) with Zeb, Lando, Han, Chewie, Dash Rendar and maybe a couple of bounty hunters or faces from Jabba’s palace or the cantina playing cards. Heck you could throw in an older Ahsoka for good measure.